By definition, feng shui is the ancient Chinese system for balancing the energy of a space. It's a simple concept with vast applications. The two words - feng and shui - mean "wind and water," and both are essential for attracting good fortune and protecting against negative energy. Feng shui practitioners often work with architects, interior designers, and home decorators to maximize the flow of positive energy in the built environment. Site placement for a house, apartment, or place of business are all elements of feng shui. In Chinese symbolism, feng, the word for wind, is the force that carries good chi -- positive energy -- forward and disperses bad chi -- negative energy. Shui, the word for water, collects and holds positive chi, vitalizing a space. The art of feng shui is used to optimize abundance and prosperity of every kind: wealth, health, relationships, and career success. It corrects imbalances that can lead to poor health, financial hardship, failed relationships or just a general sense of being ill at ease and "stuck" in disappointment or misfortune. The practice and application of feng shui provides ways to harmonize every aspect of your life -- each object, color, and material in your environment is arranged to increase the flow of good energy and decrease conflict and stress. The physical changes to a space are pragmatic; the spiritual effects of those changes are personal, uplifting, and dynamic. Feng shui has a number of different "schools" or disciplines. A feng shui master from one of the major disciplines, the Compass school, will work with a "map" of eight sections known as the bagua, laying it over a room or an entire building. The bagua dedicates one section to each main chi objective - wealth, travel, romance, children, health, helpful friends, career, and fame or self-realization. It shows where the auspicious areas of a space are for amplifying those qualities. Other types of feng shui will also follow their own specific rules and principles. 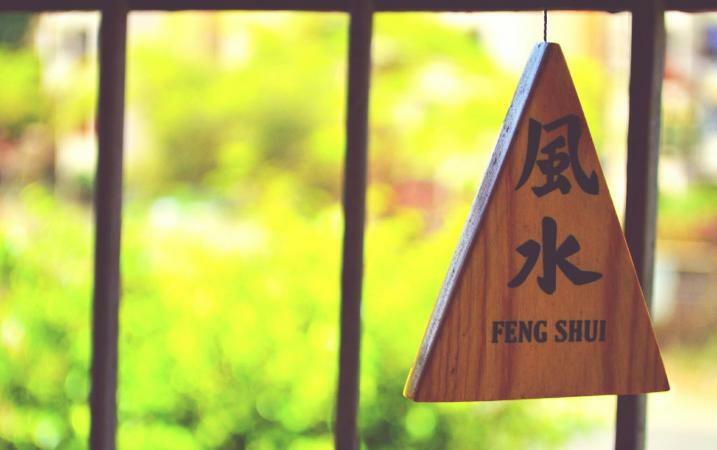 Learning feng shui often involves these schools and putting their rules into practice. Positioning furniture or adding enhancing objects, such as a water fountain or a lively aquarium, increases the good chi in the space. A feng shui "remedy," an object like a mirror, plant, string of lucky Chinese coins, or bamboo flute, "fixes" or deflects bad chi from an inauspicious environment or awkward corner. It's that simple -- and that complicated. Feng shui has rules, but it is an interpretive art. Successful designs for attracting positive energy are influenced by many factors and varying approaches. Books, courses, and online resources are all terrific ways to learn more about feng shui in order to see your own environment with new eyes. A trained feng shui expert can provide in-depth treatment of your space, help in selecting a layout and furnishings, or calculate the best location for a home or business. Add feng shui to your arsenal of strategies for attracting good fortune and avoiding negative energy. The feng shui principles you use to invite positive chi into your life are as timeless as wind and water.